Are your marketing strategies delivering the expected results? Here are some of the common mistakes for low LMS sales states and tips to rectify them. A Learning Management System is an integral part of the modern business environment. It helps employees and business leaders learn and master vital skills without spending a fortune on training. However, with rising competition, you can stand out from the crowd by focusing on proper digital marketing methods that will push your LMS to the top of the pile. You can start by eliminating the following mistakes, and then proceed to create an online marketing strategy that works for you. Here are the top 7 marketing mistakes that lead to low LMS sales. Organizations are looking to improve the productivity of all their employees. However, most LMS vendors focus on marketing the software as one that will improve the productivity of low performers or better the productivity of top performers. Statistically, the extremes in any industry account for a mere 40% of the workforce, and this leaves out 60% average performers who are the primary movers of any industry. For this reason, it’s crucial to promote your LMS as the “complete package” that’s designed for all levels of performers. Which prompts organizations to perceive it as a better deal. Especially when compared to buying an LMS for each stage of the employee cycle or distinct experience levels. Content is king in the online spheres, and more often than not, LMS customers need proof that you understand the subject matter. While blogs have become part of website design, content management becomes an issue to most LMS vendors. 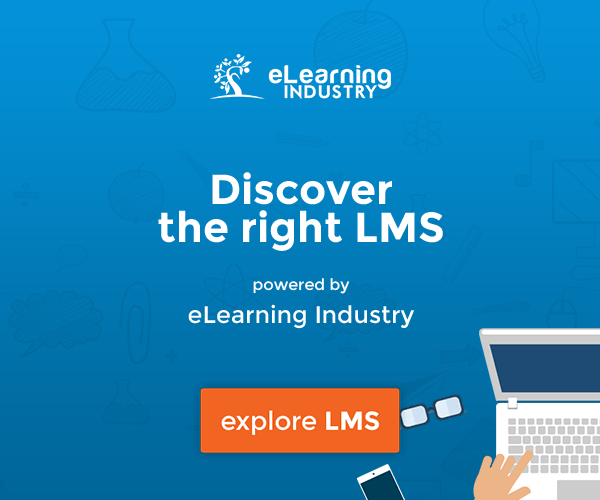 Customers will not consider purchasing your LMS if you have not shown mastery in the subject. Learn about SEO optimized content since it will help your pages rank higher on search engine result pages, as well as create valuable content that shows your expertise in the LMS niche. We all love free stuff, and over 95% of the software have free trial periods or discount periods. While you may have invested countless resources in setting up and launching your LMS, avoid the temptation to start charging your clients immediately. Organizations and individuals like to try out your LMS before paying for it, and they can be instrumental in pointing out sections that need improvement. Depending on the topics covered, you can give up to a month of free trial, and charge later. Another option is to offer a discounted price for a certain period and start charging the full amount later. No matter how good you have packaged your LMS, you will not reach your sales goals until you start incorporating customer feedback and testimonials. For example, sections on your landing pages and social media networks dedicated to satisfied clients. However, most LMS vendors only use the positive feedback, and this makes their LMS look superficial. You will occasionally have genuine negative feedback from your clients, and the worst thing you can do is to ignore the feedback. Handle negative feedback as soon as it arises and then remedy the issue promptly. Failure to do this could result in negative reviews and low ratings, which will deter new clients from purchasing your LMS. There will always be new markets you can tap into, and most LMS vendors overlook the importance of a lead generation program. If you do not have a program in place to capture, evaluate, and nurture the leads into opportunities, then you will not make the big bucks. You can turn this around by having a simple program that will contact the leads over a span of two to three months from the first correspondence. With valuable content on your blog and distributed via email and social media, you will have a higher chance of increasing your sales volumes. All your content is optimized, but is the quality up to your standards? Many LMS marketers focus on incorporating as many keywords as possible into their posts. However, this makes their content sound unnatural and diminishes the value for loyal readers. Not to mention, over saturated posts run the risk of being flagged by the search engines and removed from the results page. The secret is that besides SEO, you also need to include quality, value-added information. You want your readers to get the most from the piece so that they respect your brand and want to know more about your product. You should also avoid sales gimmicks and exaggerated claims. Many LMS companies are unaware of the fact that there are niche directories where they can showcase their USPs. Or they may not believe that it’s worth their time and resources. However, an online directory gives you the ability to reach your target audience and highlight why your platform stands apart from the competition. For example, some online directories feature comparisons and user reviews so that they can see how your product stacks up. Bear in mind that people using the directory are already looking for a new LMS. Or else they wouldn’t be doing their homework and vetting the vendors. Thus, hot leads will come to you, instead of you having to do the virtual legwork. Are you looking for rapid online marketing results that don’t cost you a small fortune? Can you sum up the selling points of your LMS and convey how it stands out from the competition? Are you reaching out to your target audience on the most popular online platforms? Is your LMS marketing strategy achieving results or is it proving to be more problematic than expected? Download our free eBook Having Build The Buzz On A Budget: How To Promote Your LMS Online And Boost Profits to discover the benefits of promoting your LMS on a PPC Software Directory, how to identify your LMS niche and your LMS selling points, how to craft the perfect LMS sales pitch, and how to create an accurate LMS marketing budget.